Escaping Lucidity is now available for Kindle and Nook via the below links. 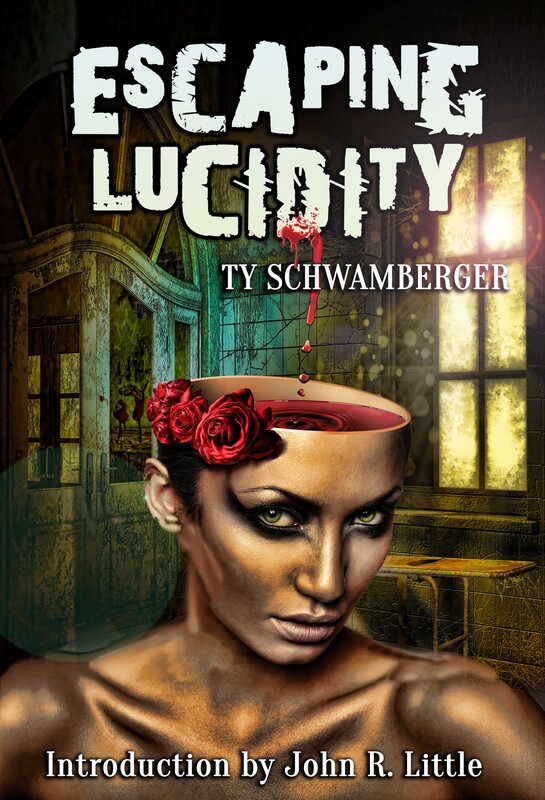 Escaping Lucidity is the complete short works of Ty Schwamberger. Within this tome you’ll be taken on a terror-filled ride through dark woods, the desert, a graveyard and dark streets, where monsters and strange creatures run amok. The other half of this collection is filled with characters driven to the brink of insanity, coping with the loss of loved ones, spousal abuse and fighting crime on the mean city streets. You’ll also find “Author Notes” after each story written by Schwamberger himself giving insight on why he wrote each particular story, interesting facts about characters, the story’s setting and where the work first appeared. Are you ready for a mind-bending ride? If not, don’t say you weren’t warned… ‘cause bad things tend to happen when you’re trying to escape lucidity.